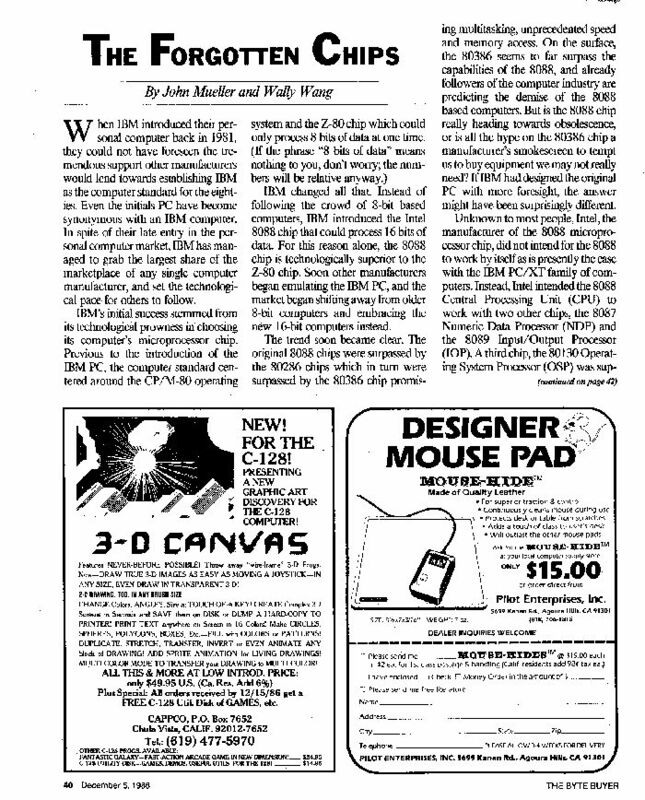 It was 25 years ago today that my first article, “The Forgotten Chips,” was published in Byte Buyer magazine in San Diego. A good friend, Wally Wang, encouraged me to write it and even helped me put it together. It seems that IBM managed to leave quite a few important chips out of the original PCs design in order to offer a hobbled system at a price they thought everyone would pay and I was upset about it. Never, in my wildest dreams, did I imagine that I’d still be writing articles 25 years later. I can honestly say that I’ve never tired of writing articles—not that every article is easy or even well written. The best articles have been difficult to research and write, and sometimes the editor has to work mighty hard to turn my prose into something worthy of the reader’s attention. Still, this first article is special and only someone who has had something published can understand how I felt when I saw it. It never occurred to me that I would eventually write books. In fact, this first article was slated to be my last. Wally encouraged me to write other articles after the first article turned into a success and I’m happy he did. In fact, we wrote our first five books together. 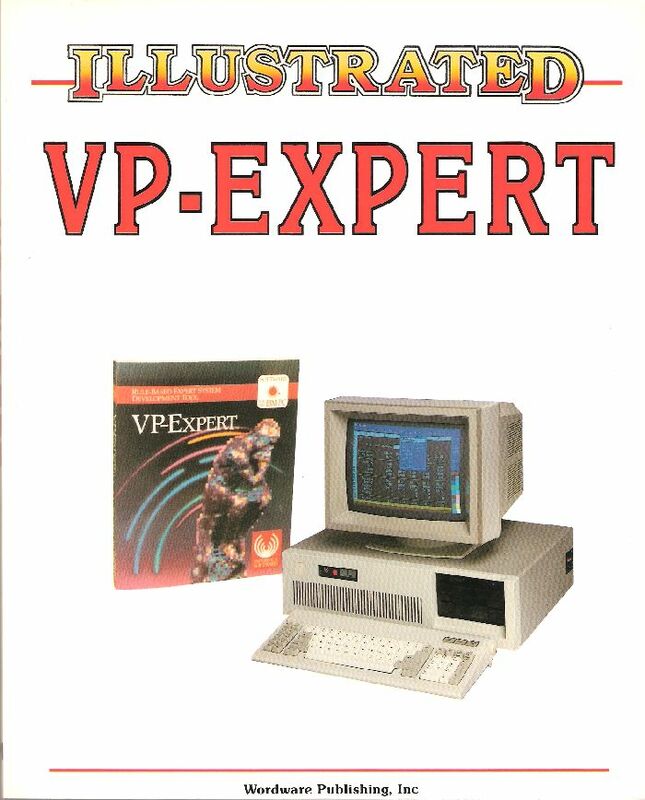 However, the first book, “Illustrated VP Expert,” wouldn’t be finished until mid-July 1988 or accepted by the publisher until August 1988. So, this first article was followed by quite a few more before that first book happened. I’m currently working on my 89th book and have lost count of the number of articles I’ve written in 25 years (in excess of 300, probably closer to 400). I’ve also accomplished technical editing on at least 63 books and achieved all kinds of other tasks associated with technical writing over the years. It has all been interesting. Nothing worth doing is easy though and there have been times where I’ve pulled my hair out trying to discern why something wouldn’t work. Schedules and deadlines have caused me more woe than I care to remember, but I wouldn’t have selected any other career for myself. There is a secret to my writing and it’s you. My writing has always been about the reader—how to convey the importance of a topic or make the mundane more interesting. Delving deeply into technology is addicting, but I could have done that in other ways and earned a far better living (technical writers are notoriously underpaid, but you knew that already ). Getting an e-mail from someone who has benefited from something I’ve written makes my day special. It fills me with glee to know that you’re better off because I’ve written something that helps. As long as there is an audience who needs my help, I’ll continue writing. The question I’m asked most often is where I get my ideas from. That’s a hard question because there isn’t a single source of ideas. Some ideas are easy—the publisher or a client requests that I write about something. A number of ideas came to me as I was doing something else or even in my sleep. What can I say? I dream about technology. A few ideas were wrought from the forge of deep confusion and consternation as I struggled to achieve seemingly unreachable goals. My wife has inspired me more than once by asking simple questions that would never have occurred to me. Readers provide more than a few ideas and sometimes a book happens because readers have complained about a book that came before. More than a few of my ideas come from experiments—I set something up on my computer, try it out, and see what happens. In this last respect, I get paid to play. Where do I plan to go from here? Well, I’ll definitely continue to write technical books. Most of my books are about Microsoft products, but I’ve also written about other applications and languages. A few of my books are hardware related and I even wrote a home security book. I’ve written certification guides in the distant past. All of these sorts of books still interest me and I’ll continue to write them. However, an author needs challenges. I’m currently working on ideas for self-sufficiency books. I may eventually write a book of poetry or two. Perhaps I’ll even get into some fiction. Precisely where I end up depends on what sorts of ideas I get and what opportunities present themselves. This year saw me starting a blog unlike any other blog on the Internet—a diverse blog that encompasses everything I do so that you can get to know me as a person. As a reader myself, it’s hard sometimes to imagine what an author is really like simply by reading books that author has written. This blog is meant to bridge that gap for you. I hope that you’ve enjoyed my writings here and in other places over the years. I’m always there when you need me. Here’s to another 25 years. Thank you for your support!